How many classic albums does a band have to release before they start getting their due? That will likely be the question running through the heads of the members of Vicious Rumors after Electric Punishment is released. God knows they've done enough of them... 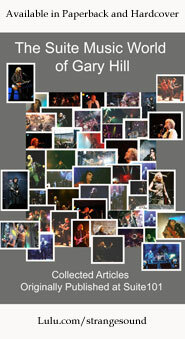 Welcome to the Ball, Vicious Rumors, Digital Dictator and the awesome Razorback Killers from 2010 being just a few. And now comes the latest slab of classy metal brilliance, Electric Punishment. I could not say 100% if this is better than Razorback Killers but it is certainly a tremendous follow-up to that blockbuster album. This time around, Vicious Rumors maybe eases up on the throttle a tiny bit and throws more nuance and atmosphere into the mix, but there is no doubt whatsoever that this album is heavy metal in the purest and highest degree. This album makes a great companion to the other disc I've reviewed for this issue, Satan's Life Sentence. It's hard to say which one is better, but if you like classy heavy metal with plenty of bite, you cannot miss either one! This enters with a dark and pounding feel before a slicing speed metal riff cuts in. This is classic VR, not rocking the boat at all, but pretty much taking your head off. I notice Brian Allen's excellent vocals are a little deeper and less falsetto than in the past, but he still cuts loose with those great screams. He has really matured a lot since starting with the band. Sizzling guitar licks and a blistering pace makes this one of the most intense offerings on the album. New guitarist Thaen Rasmussen, who's been in the Frisco metal scene for like a million years, is a perfect complement for long-time axe slinger Geoff Thorpe. These two really let it rip on this racing speed metal killer. Here we get something slower and more grinding, but still real heavy. It's a stomping mid-paced anthem with traces of Judas Priest and Saxon. There's a melodic twist on the chorus that seems kind of awkward at first but makes sense after you digest it. The song itself is almost autobiographical and relates Vicious Rumors' dogged persistence in sticking to their guns, musically. Here's another screamer that will fry your eyebrows off with raging speed and awesome lead guitar soloing. I would put a track like this up against the best of Testament and Death Angel, it is that good. Call it thrash, call it speed metal, call it power metal. . . doesn't make any difference as long as you call it metal. Now the band show their versatility with a metal ballad that has hints of Metallica's "Sanitarium" and "One.” It comes at just the right point in the album and Brian Allen's vocals are outstanding. This is not terribly original, but the execution is so powerful, you can forgive that fault. The pace picks up about halfway through. This cut is a chugging tune with some real power and off the wall vocal twists. It's quite a strong number, but it's a tribute to the overall power of the album that it comes across as one of the lesser numbers. This song has such a sunny, upbeat feel to it. It almost screams Southern California party music. I quite like it! It's still a real heavy, even, pounding number but with a real positive vibe. The vocals are a real odd combination of Allen's regular voice with a much deeper tone in the back. I detect a lot of the old 80s "hair metal" here, but done in Vicious Rumors’ own style and emerging as very entertaining! Lots of twin guitar melody kicks off this brooding, moody number. It's not a ballad, not a doom metal number, but it's definitely not the neck-snapping speed number in which VR specialize. The vocals are again more subdued and atmospheric. Those vocals barely sound like Brian Allen at all. Smoking lead guitar soloing puts the cherry on top of this tune. 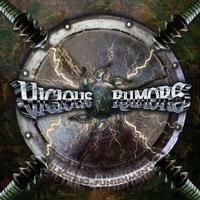 Fast and furious, this is an archetypal Vicious Rumors ripper. Allen's vocals are back to screaming bombastic mode. I can't say I like some of the weird vocal hooks on this cut. The song doesn't hurt the album at all, but it's pretty typical of the band. This Kiss song would seem to be an odd choice for a cover, but the band do it justice. The riffs are perfectly adaptable to the VR style. The solo is pure Vicious Rumors and Brian Allen mutates his gruffer vocals to even sound like a strange offshoot of Gene Simmons. It's a weird choice to end the album, but an enjoyable one.